A construction worker who died after a wall collapsed at a primary school has been named by police. Gary Anstey, from Bristol, was working on the wall at Swainswick School, near Bath, on 19 March when the collapse happened. 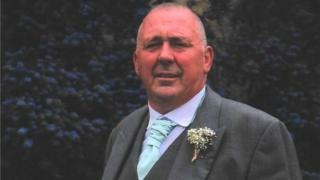 The 57-year-old was taken to Southmead Hospital by air ambulance but died the following day. In a statement, his family said he was a "loving father, husband, grandfather, brother, brother-in-law, and friend". They added: "We all miss him dearly, and ask that his family be left to grieve in peace." Avon and Somerset Police said a joint investigation with the Health and Safety Executive would "continue until the circumstances have been established". The wall was being built in a segregated construction site on school grounds. Police said no children witnessed the collapse.